How Effective Is Your Video Strategy Online? Home How To How Effective Is Your Video Strategy Online? 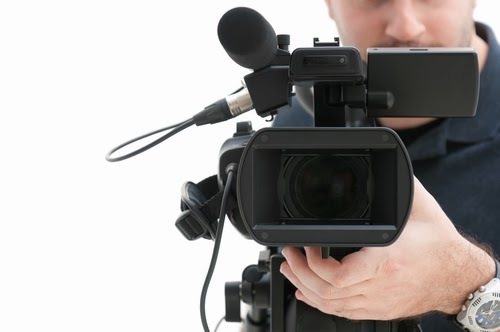 Is your online video strategy working for you? Do you have an online video strategy at all? Regardless of whether you have one or it is working for you, there are always new tricks and tips that can help your campaign go that little bit further. The use of videos online has come on leaps and bounds over the last few years with help from YouTube and similar websites as well as social media, so it is a great time to use videos as part of your company’s online strategy. Creating a video is extremely simple but making it effective is the hard part. You have to consider a number of things when creating an effective video that your audience or customers will love and will want to share with their friends and followers. Here are some tips and things you need to consider to help you get the best out of your video strategy. • Be Creative – By being unique you give your business the change to stand out from your competitors and give your customers something to remember you by. One of the most powerful marketing tools is word of mouth and by creating a ‘talked-about’ video, you can reach a greater audience, a lot quicker. • Know Your Audience – You can learn about your audience over time by using a number of different videos and different content. By doing some A/B testing with your video strategy you can see exactly what your audience prefer and what route you should continue to go down. • Be Subtle, Not Promotional – Being too ‘in your face’ with offers and promotions can have an adverse effect on your customers and they can quickly turn against your brand if you try to constantly push products or services on them. Be subtle and include some brand placements in your videos instead of purely selling your business. • Don’t Overdo It – Time is key. Your audience may only have a few minutes, so this time gap is crucial. You need to balance the amount of time it takes to get your message across with the attention of your audience. For this, make your video last between 30 seconds and 3 minutes for the perfect time. • Be Social – Social media has become so powerful for many businesses and the use of video on your company’s social media page could prove to be gold dust. With sharing buttons and a quick outreach, social media can elevate your videos and your brand quicker than you could believe. This is great to do A/B testing too. Of course, every business will have a different approach to their video strategy and their brand management but effectiveness is crucial, especially in terms of time and ROI. In an ideal world, you will want to create a video that takes no effort and no time at all but is extremely effective among existing and potential customers – but it is never that easy. For this to work, you need to apply creativeness, time, patience and an understanding of your audience in order to achieve the best results online. Please leave your comments below if you have anything to say.